Bird scooters are used by riders over the course of the day. At the end of the day, most of the scooters have low battery, so Bird needs someone to charge these scooters. Bird has 10s of thousands of scooters so they employ contract chargers to pick up scooters and charge them in their homes every night. 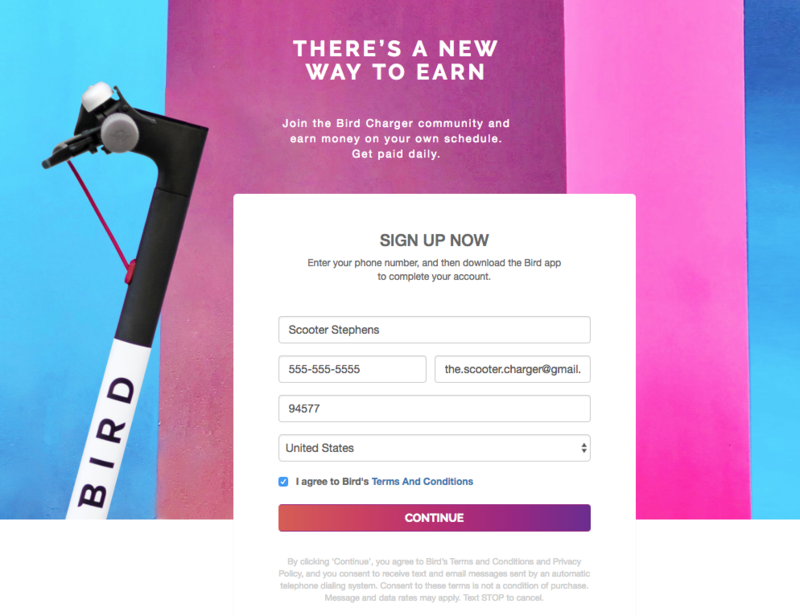 You will need to wait for Bird to approve you as a charger and send you charging cables before you can make money by capturing scooters. Bird prioritizes cities where they need people to charge scooters. 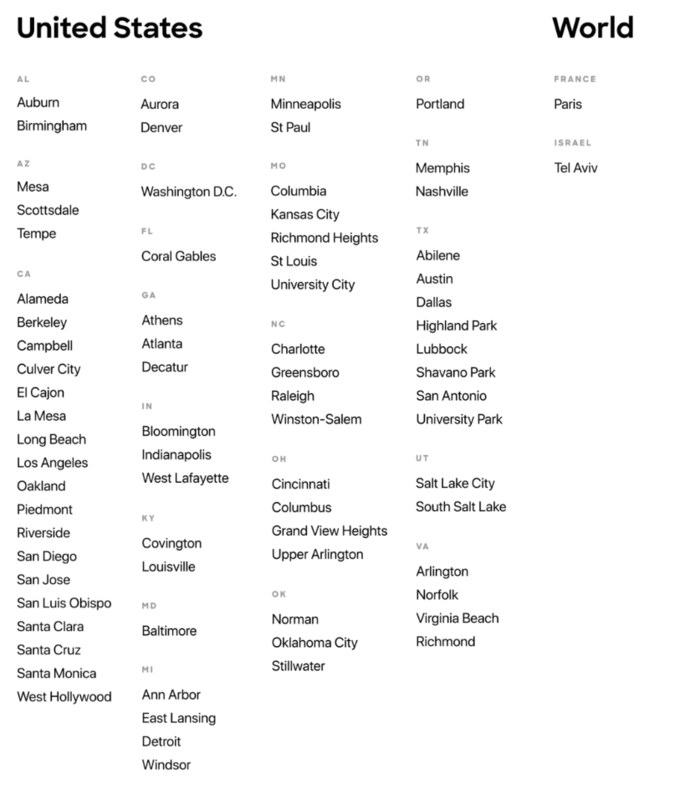 That means Bird scooters have to be in your city. If you apply and you live in Manhattan, where scooters are banned, you will not get approved. Bird wants to get a lot of chargers as soon as they move to a new city. So if you apply earlier, you will have a stronger chance of getting approved. And as soon as Bird moves in, you will be able to make the most, easy money because there will be less chargers to compete against. 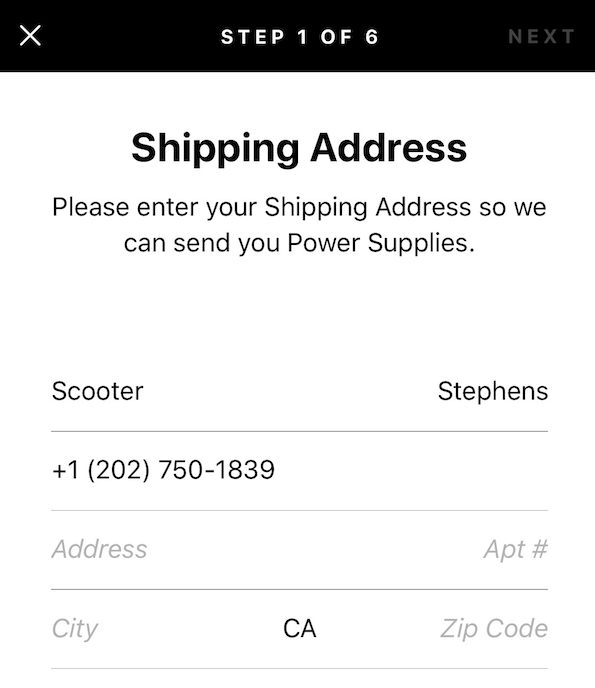 You need to enter an address where you can receive charging cables. 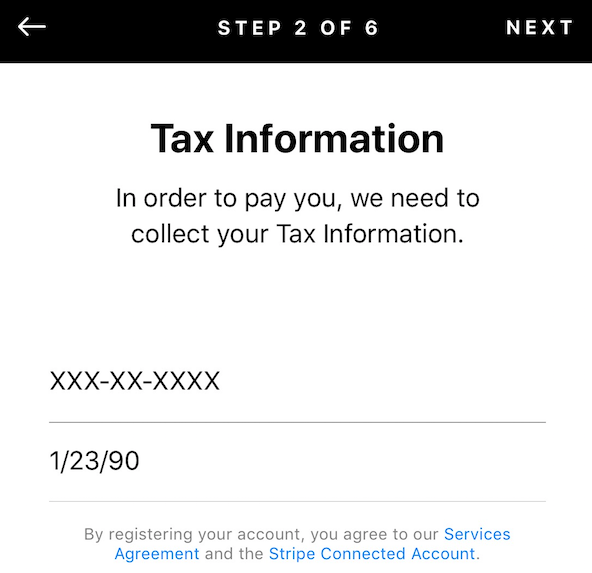 Bird will use Stripe to pay you. 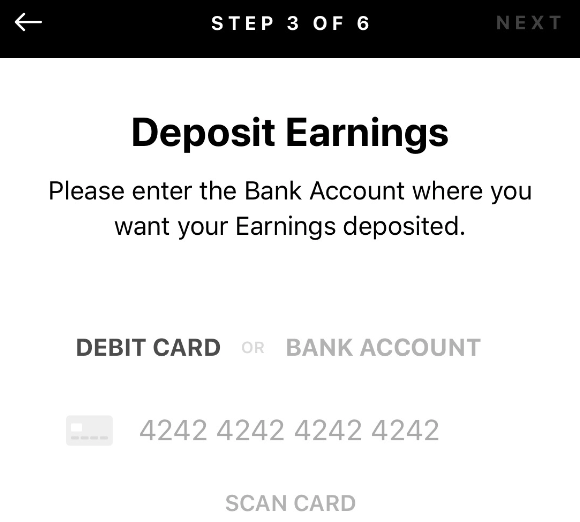 Nope, that’s not a typo, we really did skip Step 4… If anyone knows what Step 4 is, please let us know! Here you will click through a few screens that will show you how to find, charge, and release Birds. Since Bird is worried about your status as a contractor, they don’t have any quizzes or more involved training. If Bird provided more training they would be endanger of you claiming employee status and associated benefits. 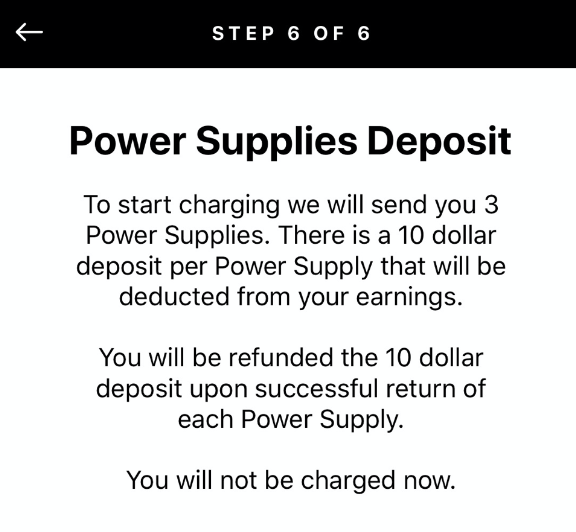 On Step 6 out of 6, you will just need to accept the $10 deposit for the charging cords that Bird will send you. They will not charge your card, so you can go ahead and click Agree without any worry. This is the most frustrating stage by far. 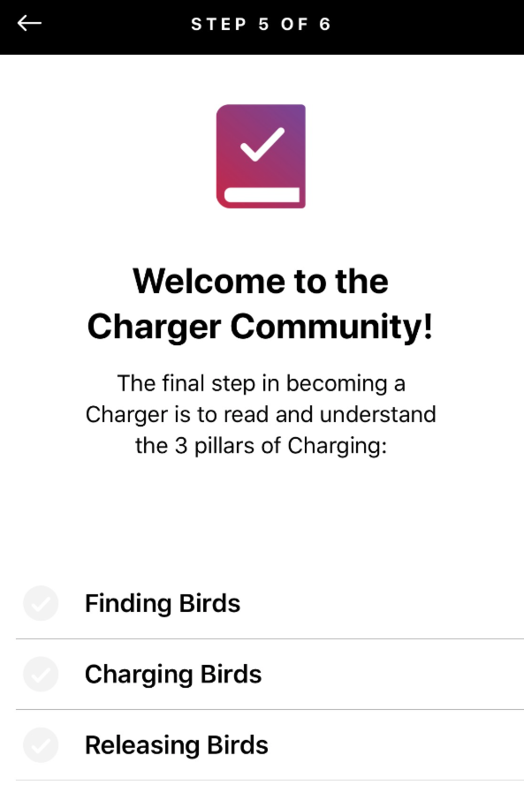 Here you will need to wait for Bird to approve you as a charger and send you charging cords. 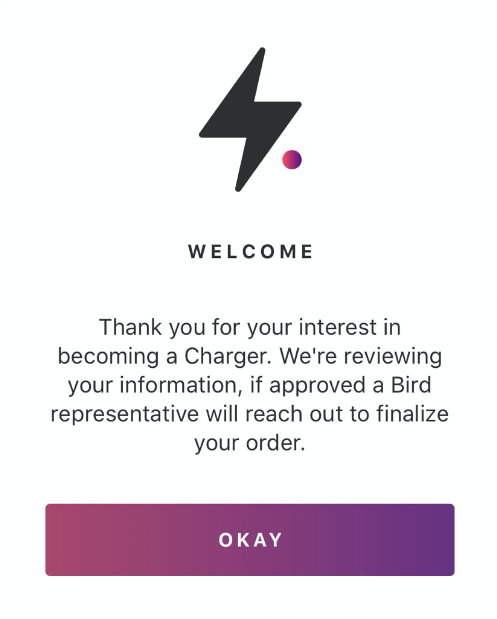 Bird could approve you as fast as one or two days in a new city or you may never get approved if there are too many chargers or if Bird gets kicked out of your city. Im trying to start and become a charging port. Looking forward to becoming a charger. This was a terrific idea and is helping the community and is a fun way of commuting. Support your local bird!! !